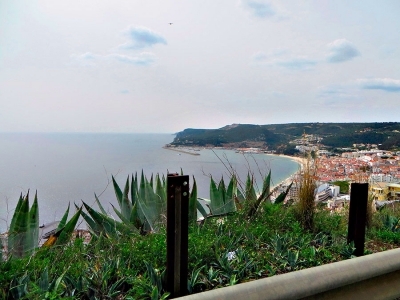 Our tour of Azeitao and Arrabida began with the arrival of our guide, Vitor Martins in his midnight blue Mercedes. Lisbon is a welcoming city, but the personable Vitor, who speaks four languages and is an expert driver, takes you to the next level. 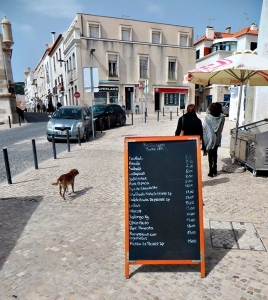 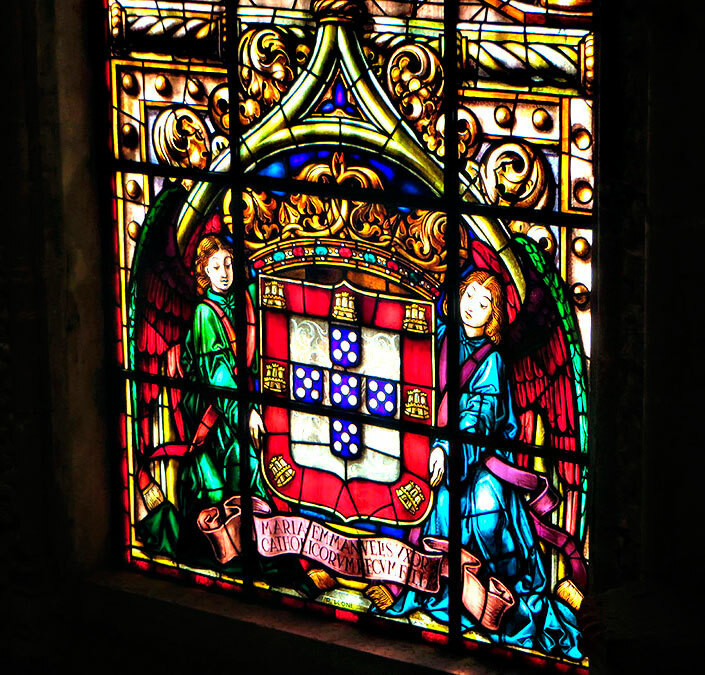 He knows Lisbon, its history, its neighborhoods and its surroundings. Vitor suggested an optional first stop at Lisbon’s most renown coffee house, ‘Pasteis de Belem‘ — known for their delicious custard tartlets sprinkled with cinnamon and sugar. 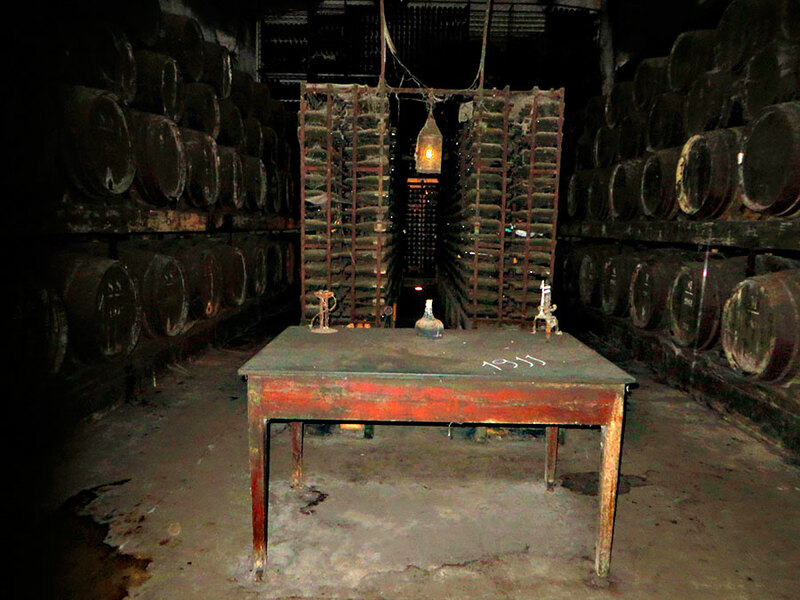 We agreed, of course. 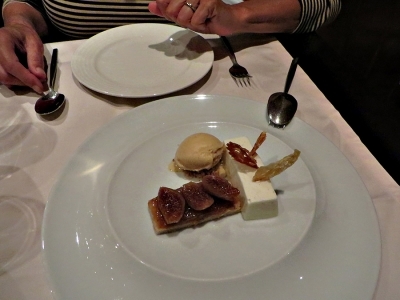 This establishment has been in continuous operation and using the same carefully guarded pastry recipe, since 1837. Afterwards we passed through the historic Belem quarter, a garden-like neighborhood that is home to many foreign embassies. 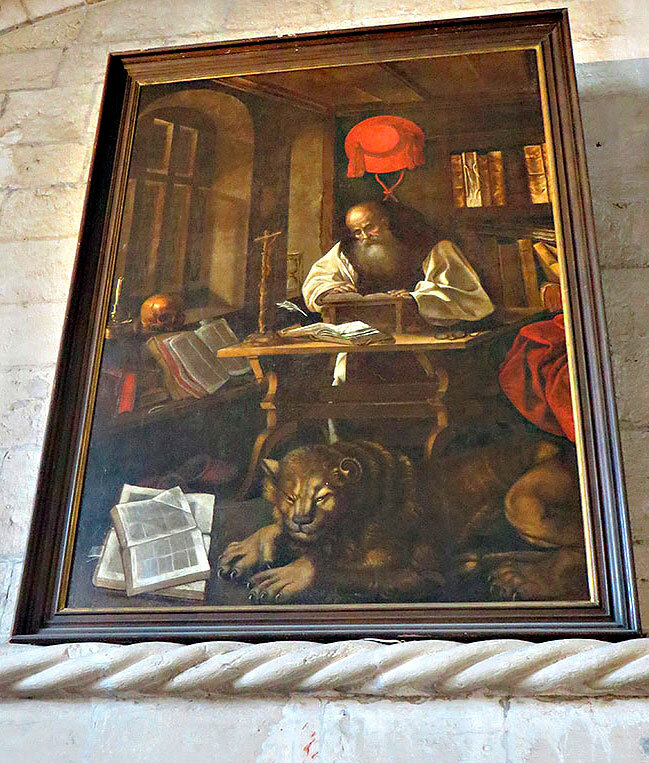 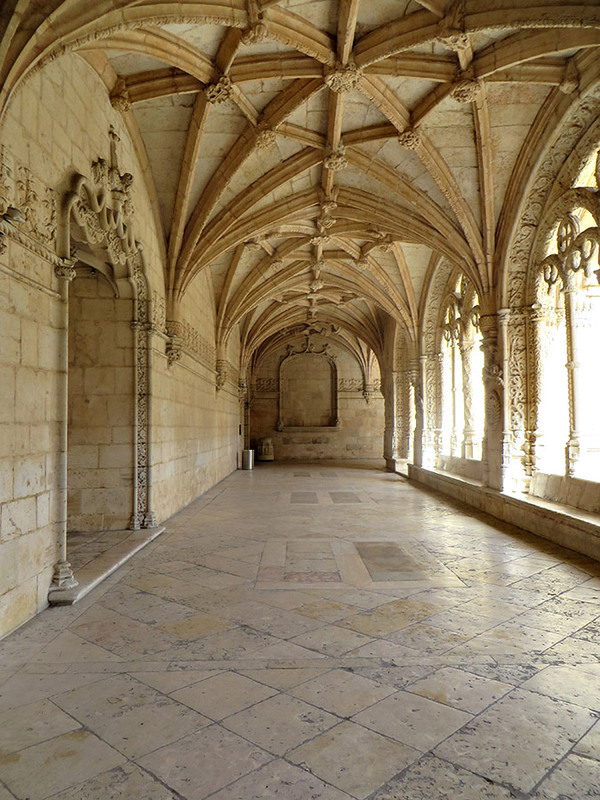 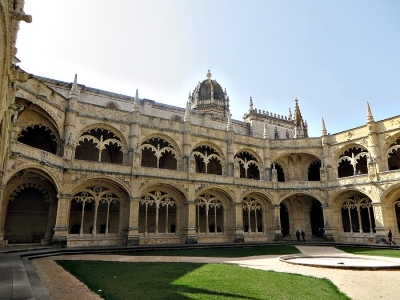 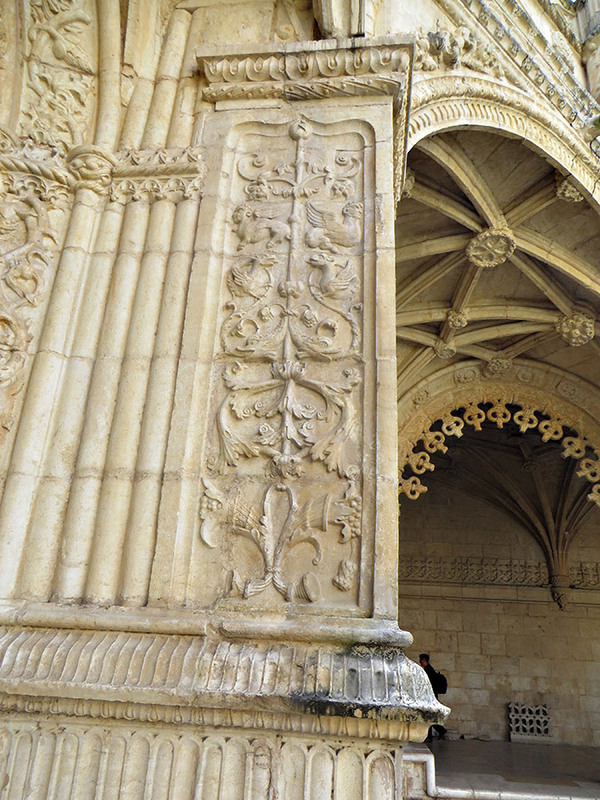 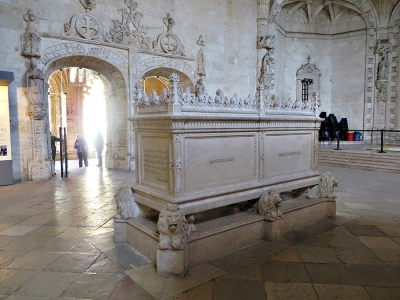 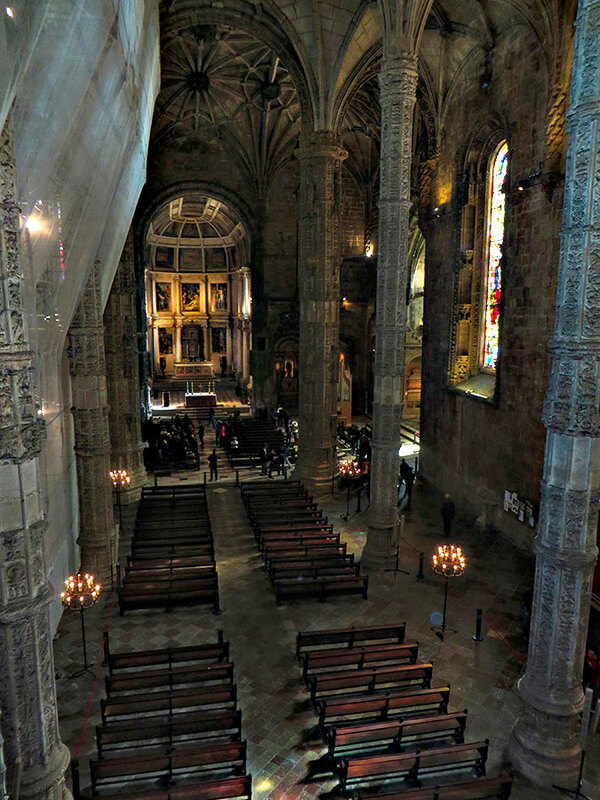 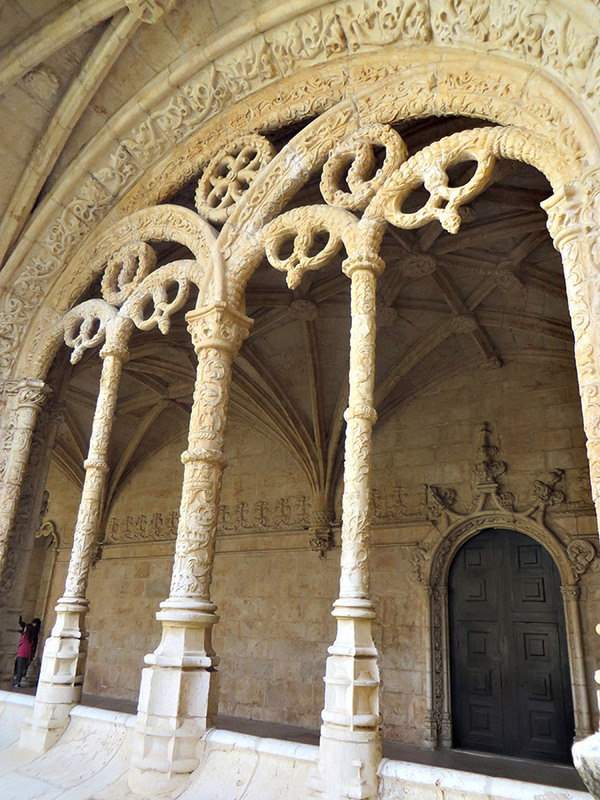 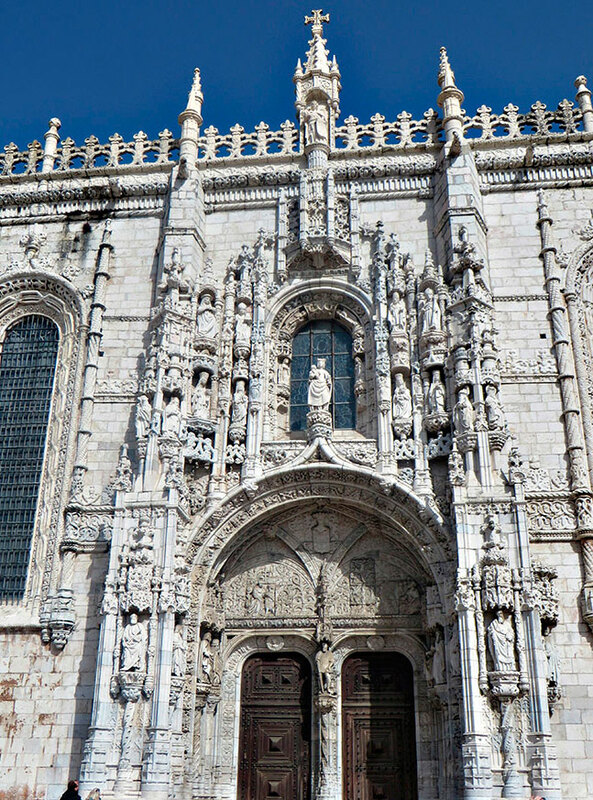 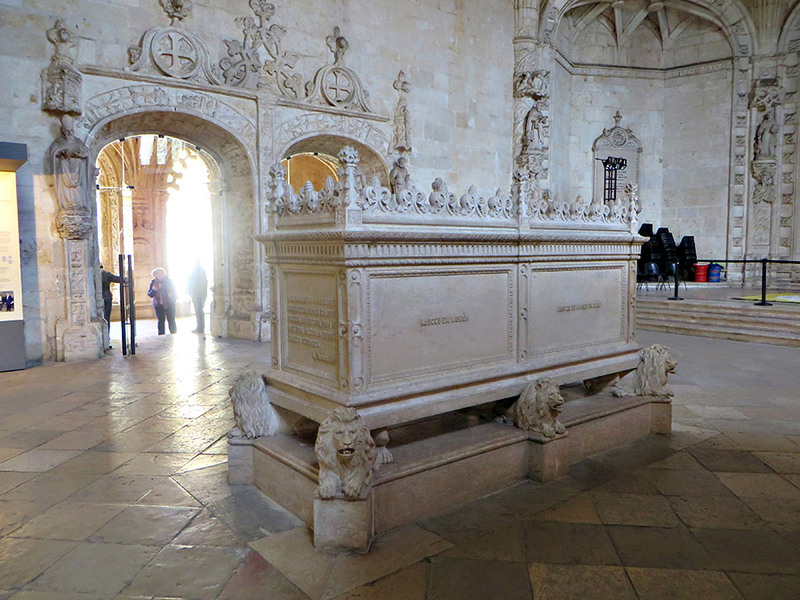 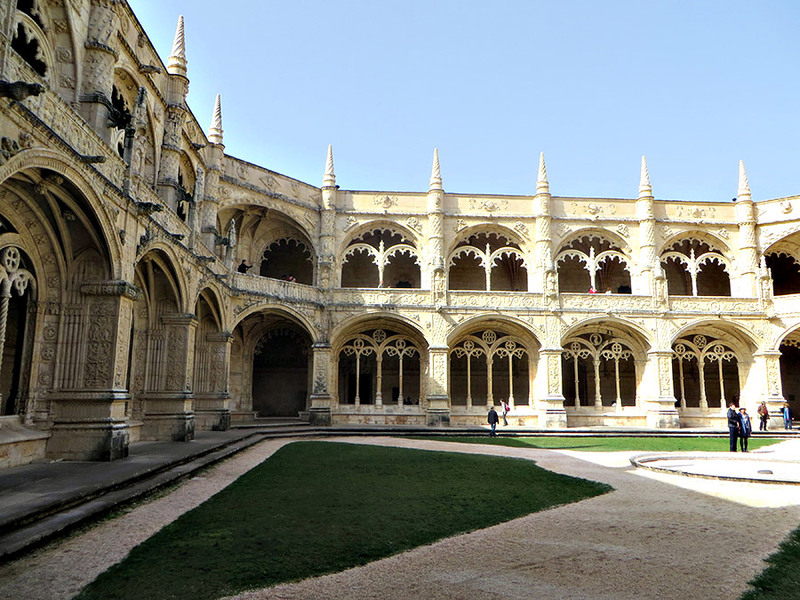 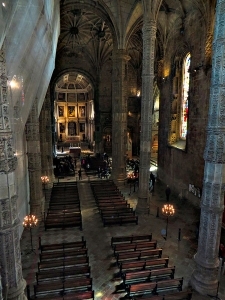 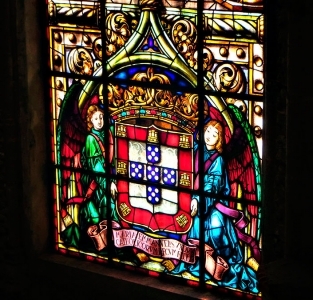 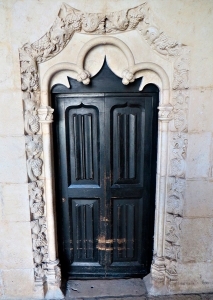 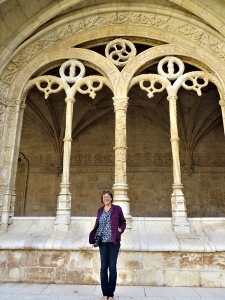 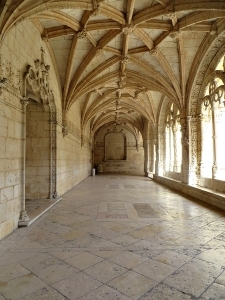 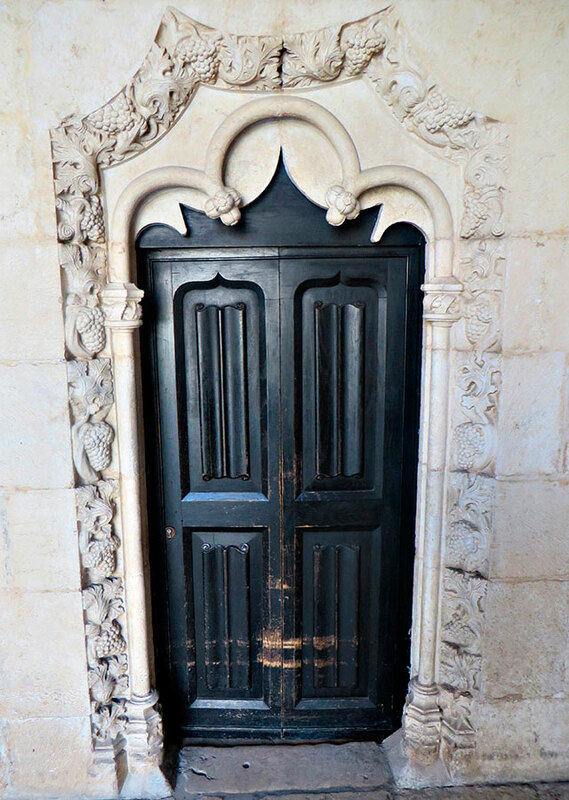 Vitor then dropped us off at the Monasterio dos Jeronimos or Hieronymites Monastery, a UNESCO World Heritage Site. 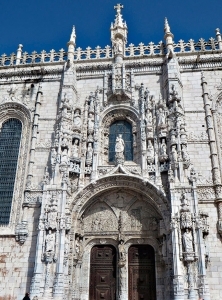 The monastery and church were begun in 1501 and completed a century later. 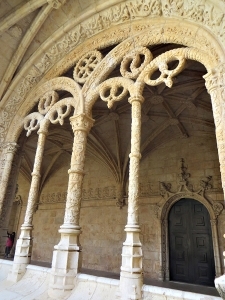 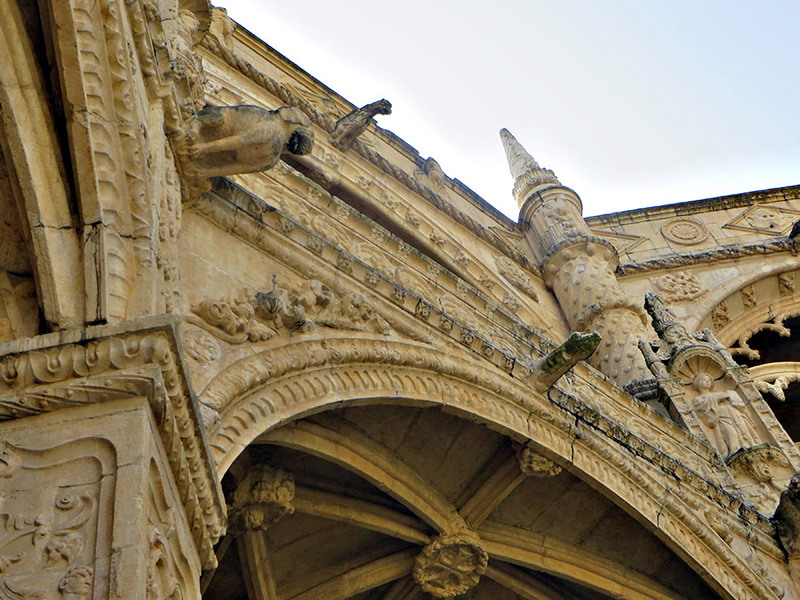 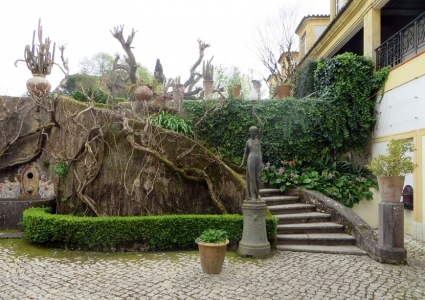 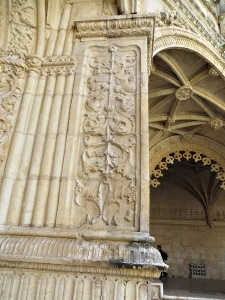 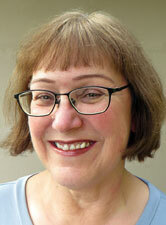 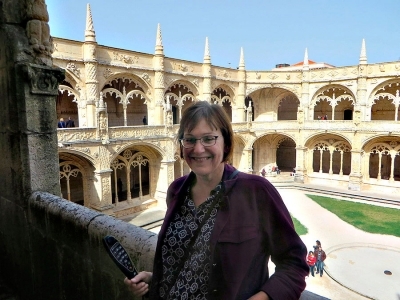 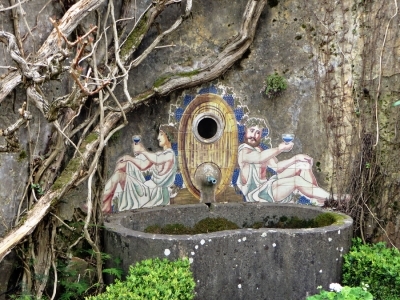 There is a wealth of sights to see here, including the decorated two-story cloister arches. 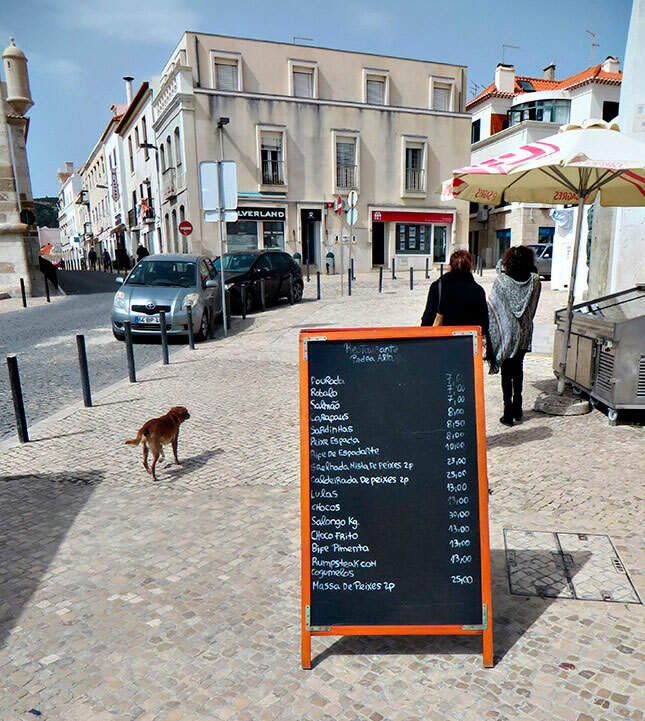 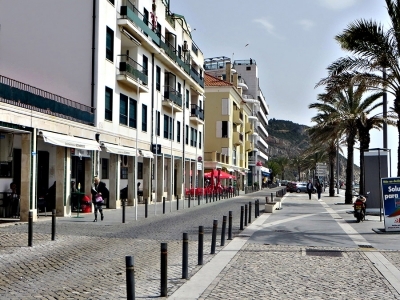 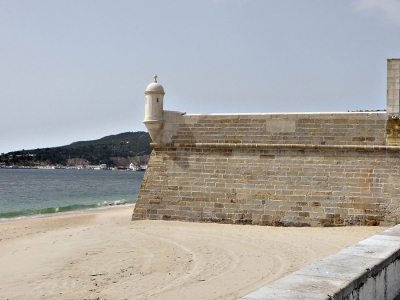 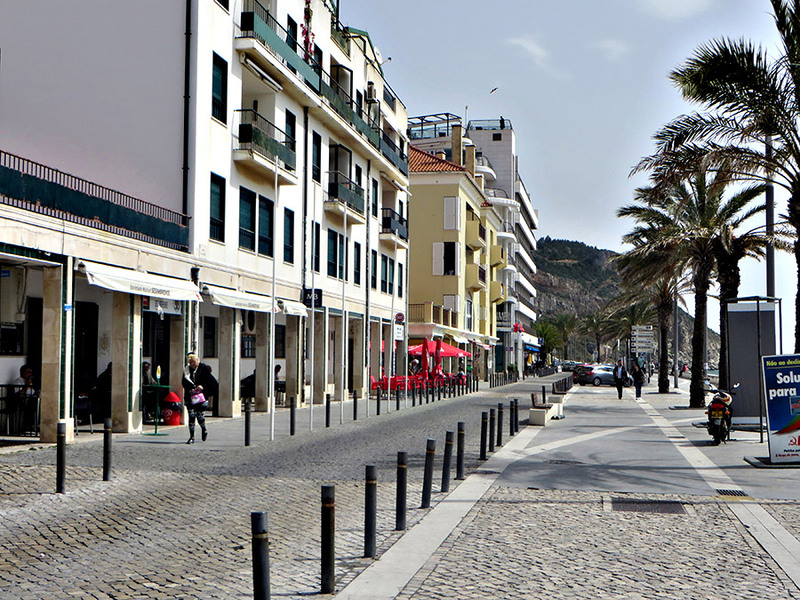 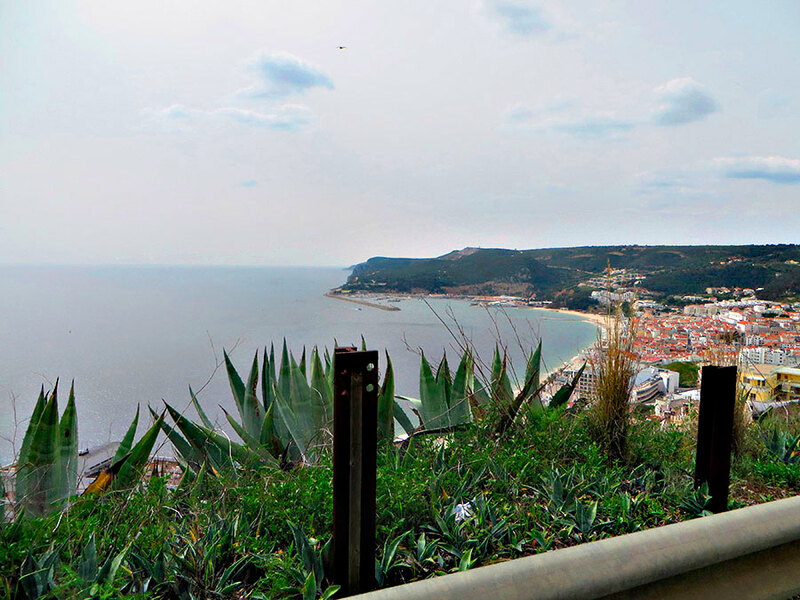 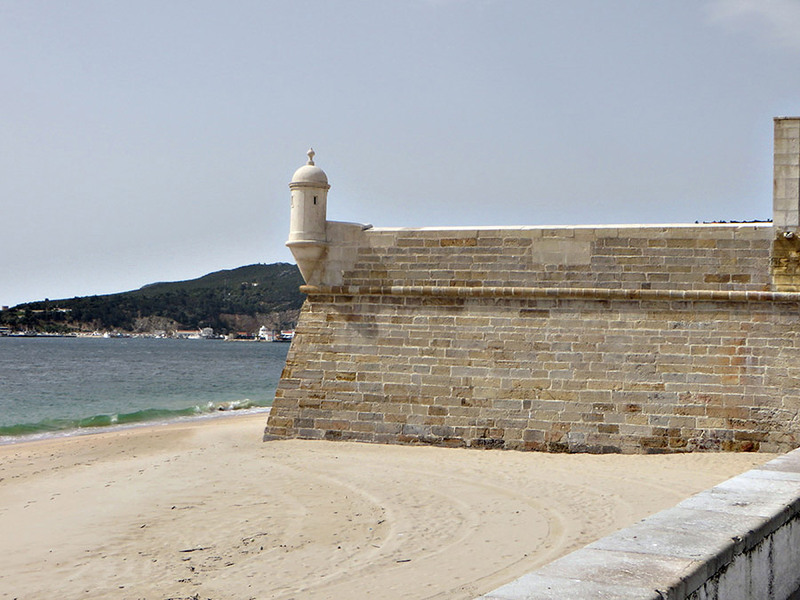 After our cultural encounter, we left the city and headed into the Arrabida hills–35 kilometers of limestone mountains between Setubal and Sesimbra, a lovely seaside town where we stopped for lunch. And what an excellent lunch! 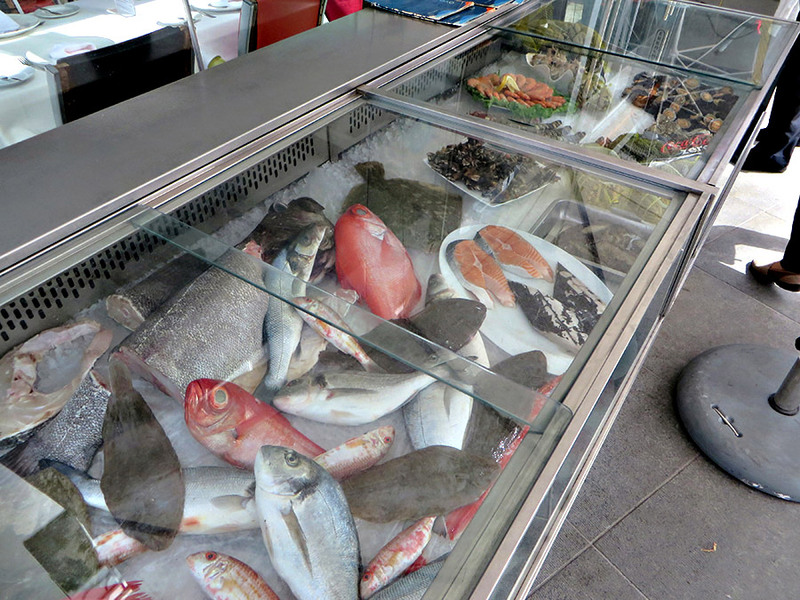 The catch of the day was proudly displayed at the entrance to our beachfront restaurant. 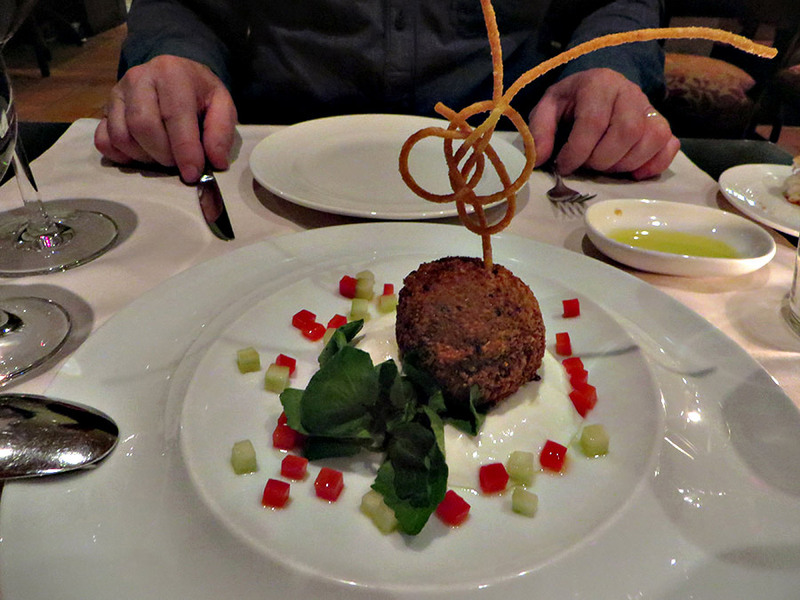 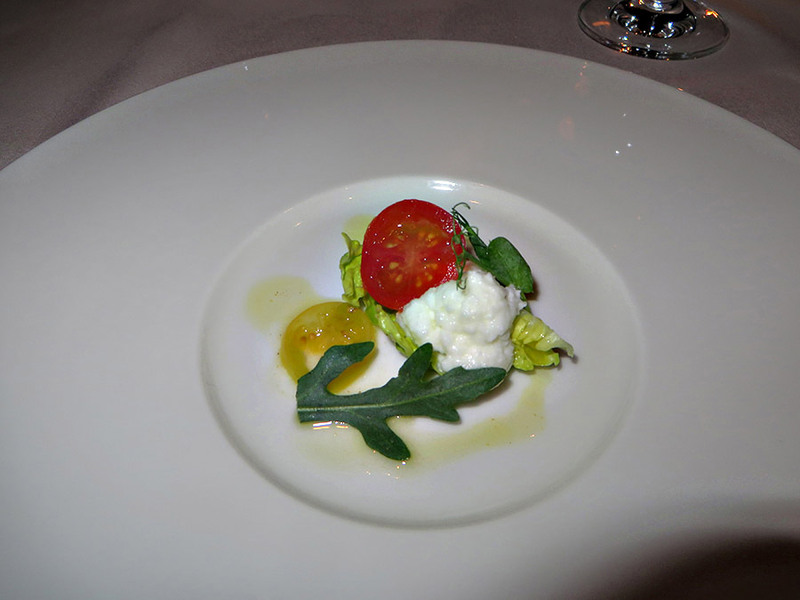 As we perused the menu, the waiter presented us with a red snapper–just the right amount for the three of us. 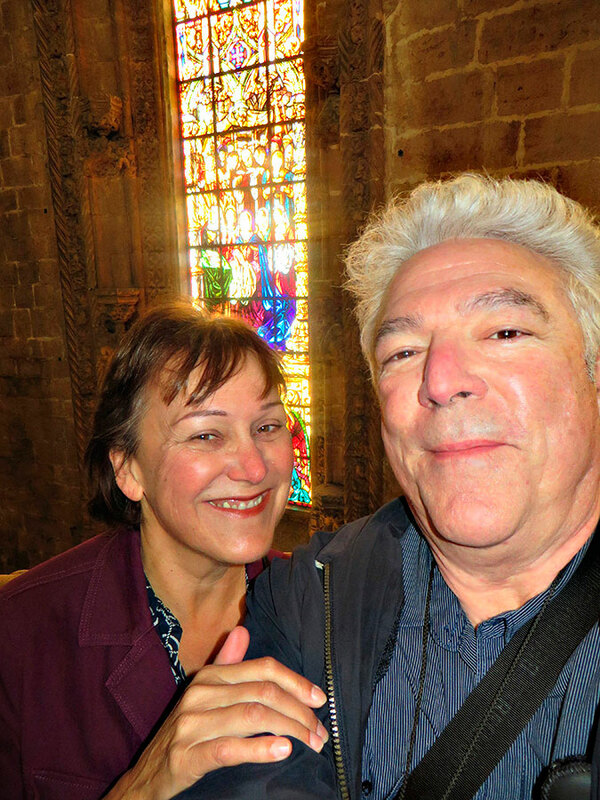 Of course, we said yes and after choosing another of Portugal’s crisp white wines we proceeded to feast on the most tender, freshly cooked fish, and one of the best fish lunches ever! 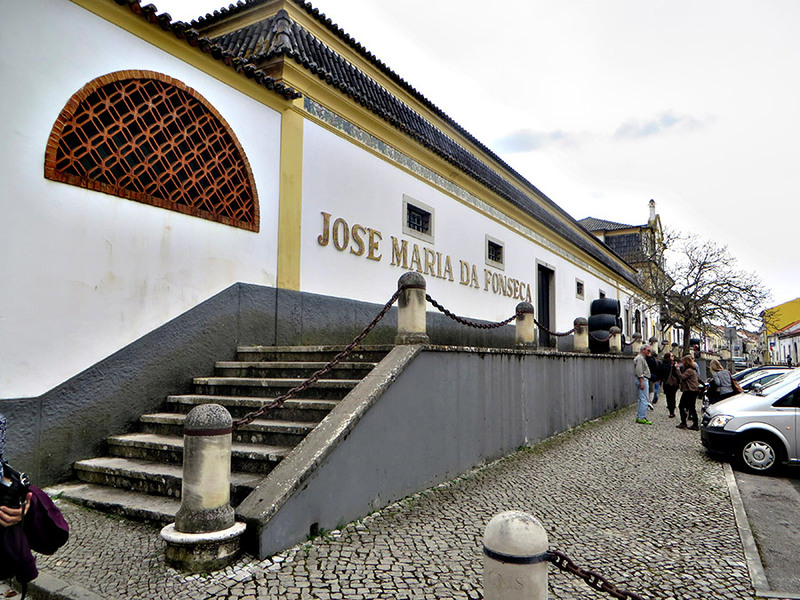 Back in our ‘chariot’ we drove to the nearby historic winery, Jose Maria da Fonseca. 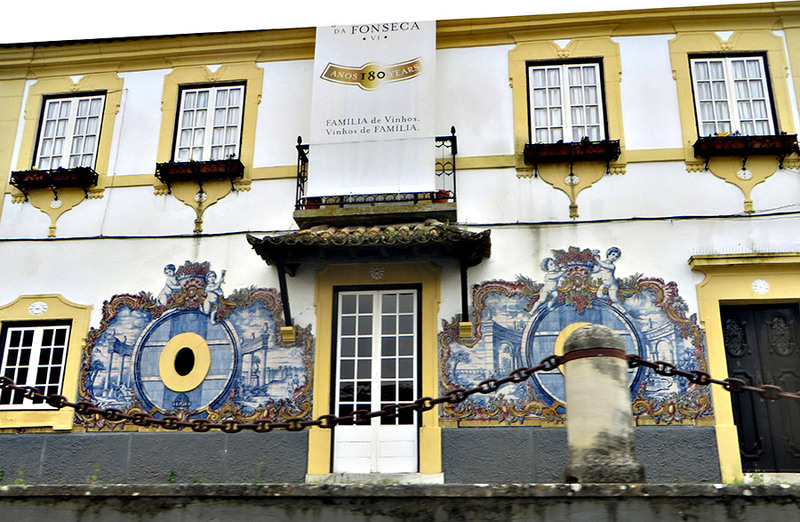 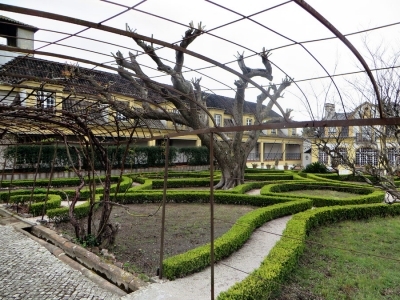 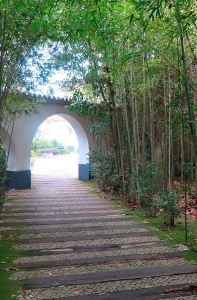 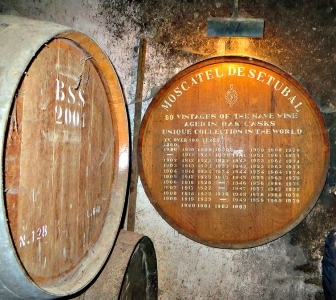 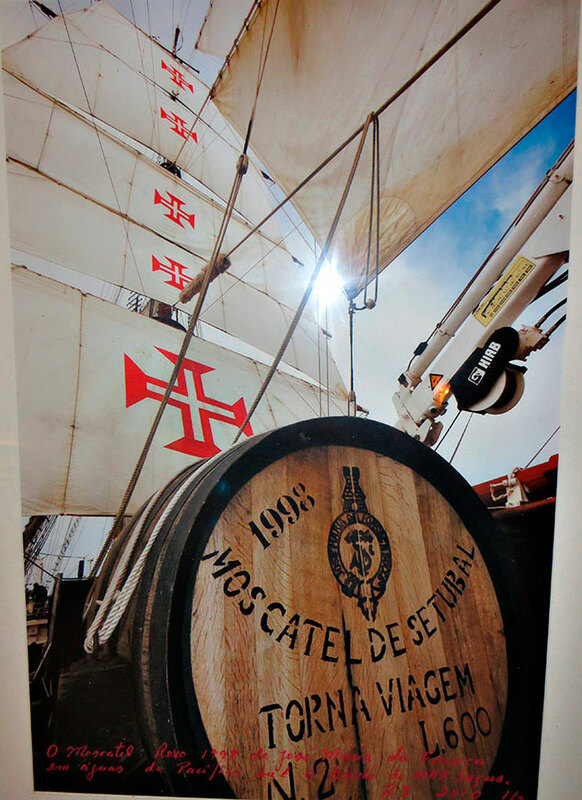 This winery dates back to 1834 and is among Portugal’s oldest. 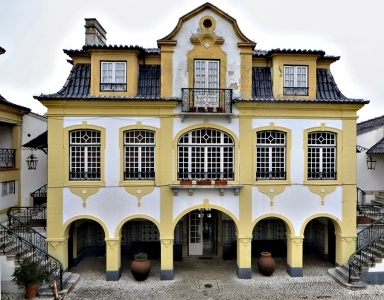 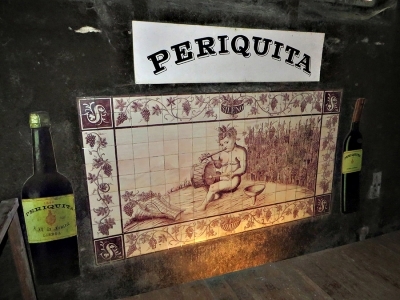 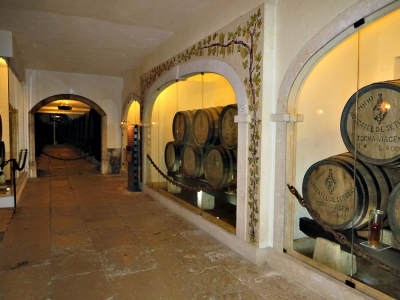 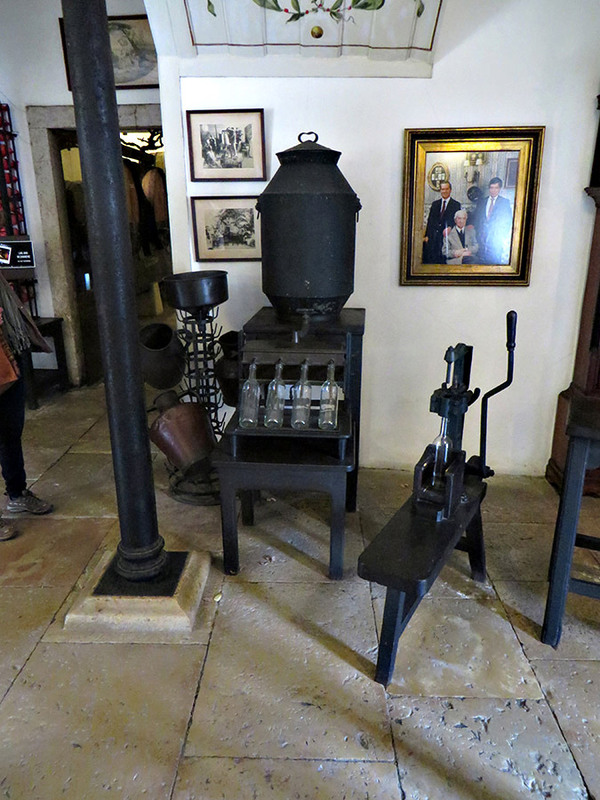 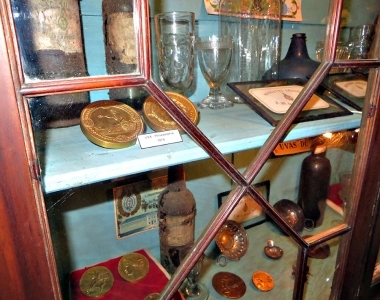 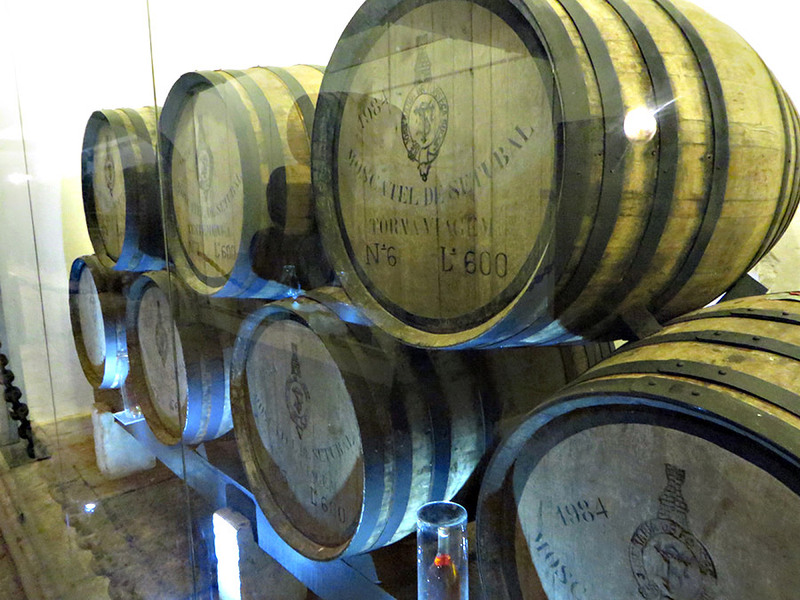 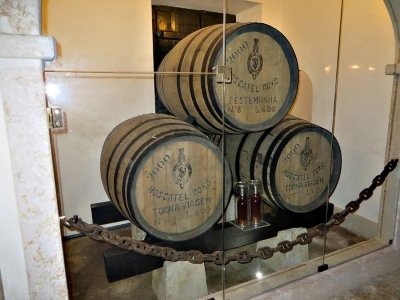 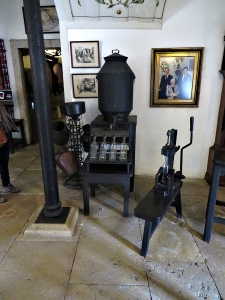 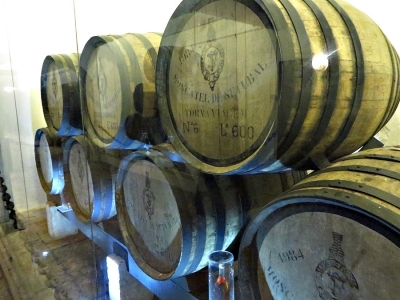 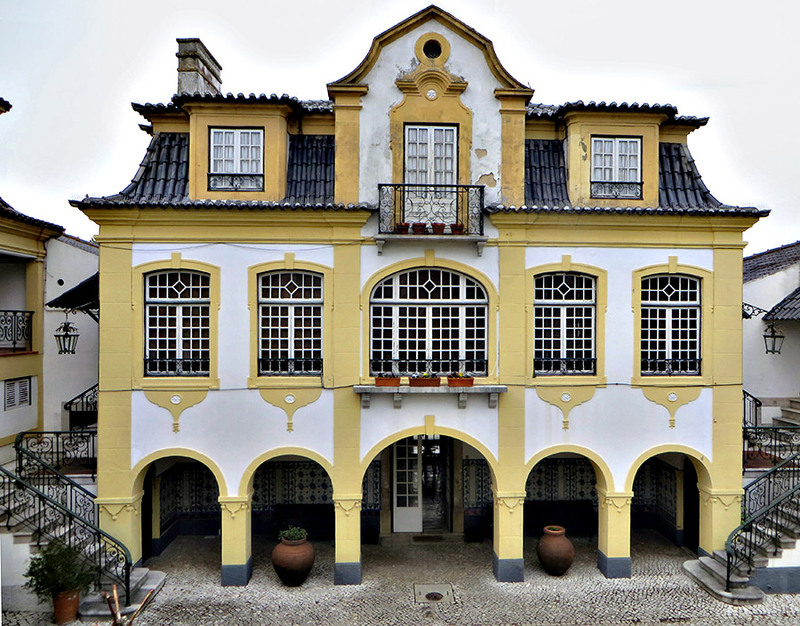 Wine is no longer produced here, but the landmark building serves as a museum and a cellar where wines are aged, including Periquita, Portugal’s oldest table wine. 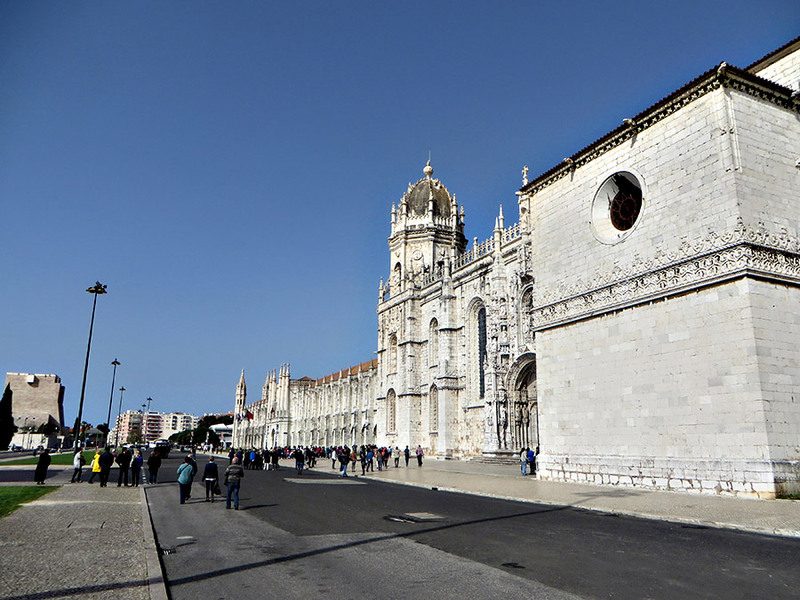 Vitor guided us back to Lisbon, pointing out more of the local sites and history of Western Europe’s oldest city. 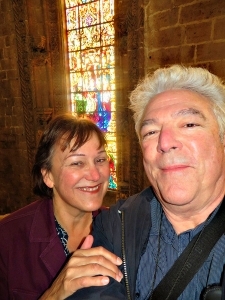 Before our tour was over he asked about our plans. 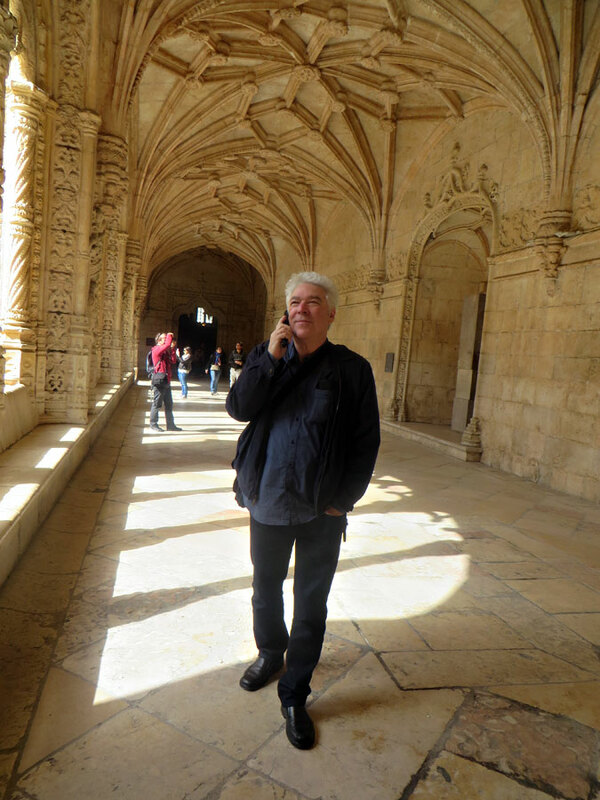 When we told him we wanted to rent a car to drive to Southern Portugal he made a single phone call and had it arranged within minutes! 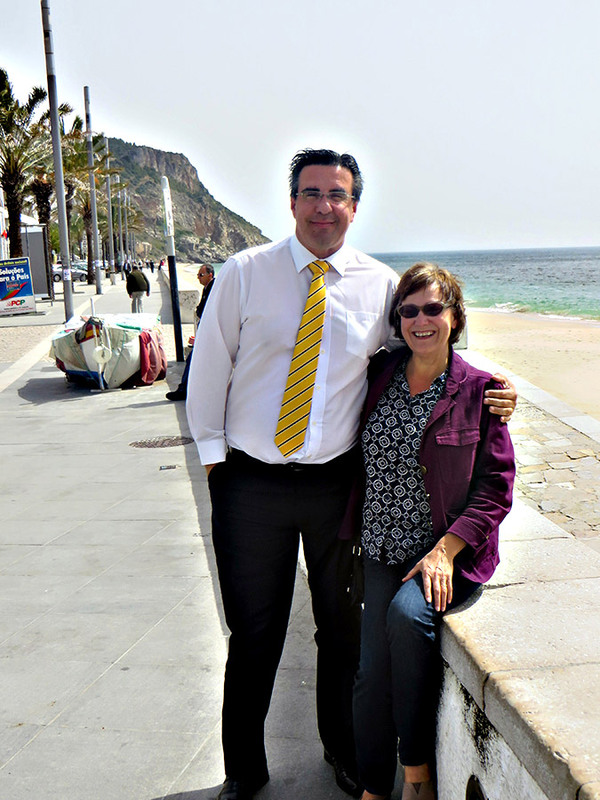 The car was delivered to our hotel the next morning and we were off on our next adventure. 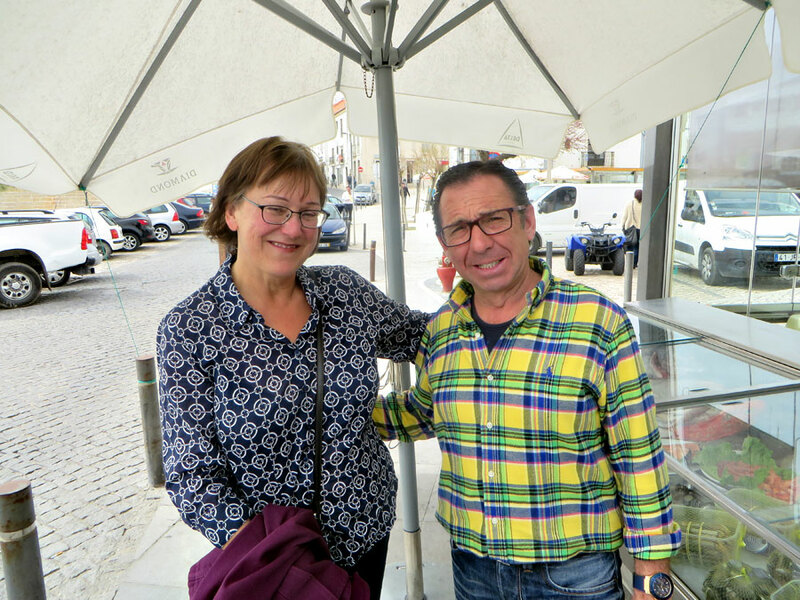 He also recommended what is surely one of Lisbon’s best, most authentic restaurants for our final lunch and then made our reservations. Thank you Vitor for guiding us to our best Lisbon experiences!